Need a virtual Visa/Mastercard debit card? But don't know how to get one? Then this article is for you. In this post, you'll learn how to get a virtual debit card, specifically a VISA or Mastercard Online without leaving your house within minutes. Virtual Card, also known as Electronic Card or e-Card is card similar to physical card except it’s not linked to your primary account. You can load money and use this card for any online transaction. Why Do You Need a Virtual VISA/MasterCard Card? There could be many reasons for you to want or require a virtual card. For me the reason why I required a Virtual VISA/ Mastercard because I wanted to get Netflix. I already had a virtual RuPay card from Paytm Payments Bank but since Netflix only accepts cards with international payment enabled I had to get a card that can make payments abroad and getting a card at home within few minutes seemed a better idea than going to a bank to apply for it. Another advantage of having a virtual card is that you can safeguard the details of your actual card and use the virtual card for online payments. So it is a good idea to get a virtual debit card for your online transactions. But why am I emphasizing on a VISA or Mastercard? The reason is that these cards can be used for international in addition to domestic transactions. You need these cards when you are purchasing something from an international company. For example, you need a VISA/Mastercard to get a Netflix subscription. To get register for Airtel Payments Bank you can either download the MyAirtel or do it online. And to see the see the process to register using MyAirtel app click here. After your artel payments bank account have been activated you’ll be provided with a free virtual Mastercard. You can use this card for any online transaction. For those who want to get things done faster can use the Payzzap app from HDFC bank to get a Visa debit card for free. For this, you don't even need to have an account with the bank. 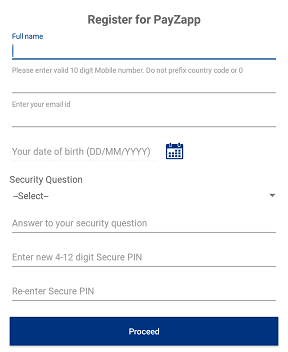 You can register with the app with your phone number and ID proof and get your Visa card immediately. 3. Enter your mobile number, preferably the one in your phone, and enter this referral code (optional): hikuqj4v. 4. Now fill the all the required details on the page that appears next and proceed. 5. 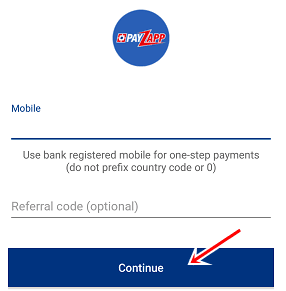 PayZapp will send a mobile verification code to the number you entered in the previous step. If not automatically detected enter the code to verify your number. And hit “Complete Registration”. An email will also be sent to your email for verification too. 6. 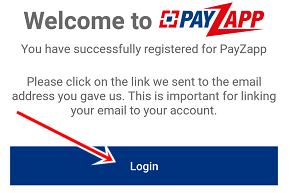 You have registered for PayZapp. Now tap “Login”. 7 Enter the PIN you created in the 4th step to login. 9. 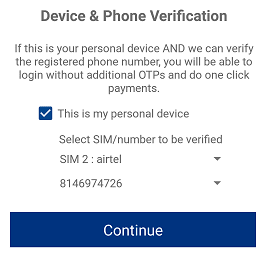 An OTP will be sent to verify your device. Enter it to confirm your device. 10. Now you are ready to get your free virtual Visa debit card. In order to get the card, you need to update your KYC. To do that, from the menu go to setting->update KYC. 11. Enter your PAN number, Name(As on the ID proof) and Date of Birth to continue. After submission, you’ll be able to load money and perform merchant transactions. But you can’t send money and bank transfer cash to a bank unless you verify your Aadhaar card as well. 12. You’ll be able to use your virtual VISA card after loading cash to your PayZapp wallet. To do so you need to link a credit/debit card. You can’t add money using any other means except a card. 13. To link a credit/debit card to your PayZapp go to Manage Cards from the menu and fill in the necessary details to add the card. If your card is embossed you can scan it, flat surface cards need to be entered manually. 14. Now go to Pay/send Money section and tap the (+) sign. 15. Enter the amount that you want to add. You need to add a minimum of Rs.10. You just need to add the minimum account to get the Netflix trial as you will not be billed before the trial period is over. After entering the amount to be added, follow the procedure to add money. 16. once, you have added the money you’ll be able to use your virtual (pre-paid) VISA card for any online purchases/payments. You can view your card by taping to “PayZapp Card” from Menu. With this app, you can get a virtual prepaid Mastercard within 5 minutes and without loading cash. The registration process only takes 3 minutes. And for ID proof you’ll need to add the number of your PAN v=card or passport. 1. After that tap Cards at the bottom of the home screen of the app. 4. Enter your DOB and email address to get your card immediately. You can start using this virtual card as soon as you load money. You can load money to the app with a debit/credit card or net banking. You can get a physical card by paying a fee of Rs.149. You can also use the Tmw app to pay bills. Shopping, gas and more. The Tmw app has the feature to “pause”(block temporarily) and “block” (permanently) you card. If you block your card a fee of Rs.10 will be charged to issue a new one. If you don't have an account with ICICI bank you can create one with Pockets within few minutes with your Aadhar/PAN card. After providing all the necessary details you will be given a virtual prepaid VISA card. DBS(The Development Bank of Singapore Limited) is a multinational banking and financial services corporation. This is a Singapore based bank that lets you create a bank account without any paperwork using your Aadhaar and PAN card. The virtual Debit card provided by Digibank: VISA. Oxigen wallet offers a VISA card for its users who have completed e-KYC. Monzo is a UK based mobile-only bank that works all around the world. With Monzo, you can make international payments and more. Monzo offers a free Virtual Mastercard. Like other banking apps if you don’t have a Kotak account you can create one within minutes without any paperwork with your PAN number and Aadhar card number. “Experience over 100 features including managing all your financial transactions, sending and receiving money through NEFT, IMPS, and RTGS, shopping online via Flipkart, booking movie tickets via PVR, flights and hotel rooms via Goibibo and much more. This mobile banking app is also BHIM UPI enabled, you can instantly transfer money online without adding any additional bank information.”. Kotak 811 provides a virtual VISA card to customers who have verified their details using Aadhaar OTP. The service to open an account through the app is temporarily unavailable working again. PayApt is a digital payment solution app which gives you a prepaid VISA card. You can load money using any bank’s debit/credit card. You must load a minimum of Rs.1 to view your card details. This app gives you a virtual prepaid Mastercard. But there are money complaints that they take too long to verify documents or never verify them. So, I would suggest you to not to try this app. Revolut provides you with a virtual VISA debit card. Similar to Revolut, N26 is a mobile banking app. You can create your account with N26 and get your virtual Mastercard. PayMaya is an online payment app where you can get a virtual VISA or Master card after you have completed your KYC. with the payzapp one while verifying it on netflix it shows "hdfc-acs.wibmo.com refused to connect."